Sauna Or Steam: What's The Best Post-Workout Treatment for Athletes? Everyone wants to know which is better for an athlete, a trip to the sauna or a trip to the steam room. It’s a tough call between the two so were going to break them down individually. 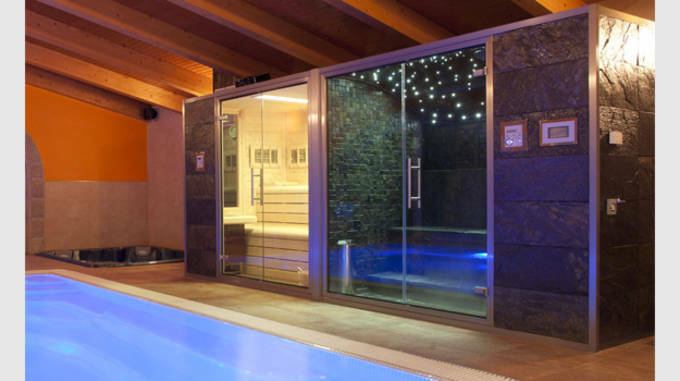 First off, both of these heat rooms are used in spas, gyms and homes around the world. They both serve a variety of different therapeutic benefits for the body such as relaxation, decongestion, arthritis relief, and skin cleansing. Although they&apos;re both similar, the two couldn&apos;t be more different. When you break it down, the differences can be split into four categories: construction, heat source, temperature, and humidity. First let’s talk a little bit about a sauna. Saunas are constructed into a wooden paneled room where inside, temperatures reach between 160 and 200 degrees Fahrenheit. Saunas use heat rocks placed on top of an electric or wooden stove to radiate dry heat throughout the room. The humidity levels inside a sauna are very low. They usually range between five and 30 percent depending on the amount of water a person chooses to pour onto the rocks. This also the gives the user the option of a little bit of steam. 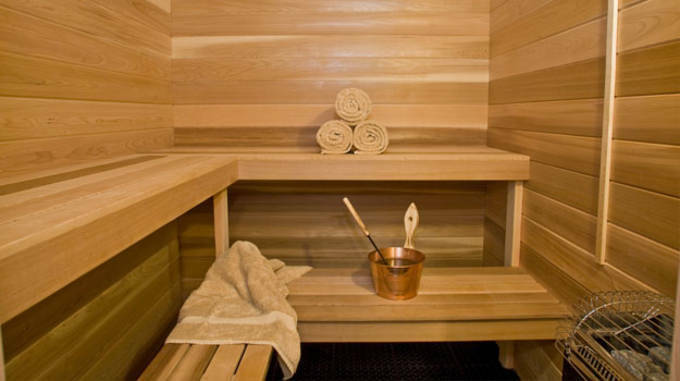 Benefits: Saunas have so many benefits for an athlete looking to keep in top shape. For one, sweating alone opens your pours and helps cleanse the skin. Saunas are also known to help muscles stimulation, lower blood pressure, reduce stress, and improve cardiovascular health. Cautions: When using a sauna its best to keep an eye on the clock. Time spent inside should be limited to about 15-20 minutes maximum. Because of extreme heat, you run the risk dehydration and possible burns. Steam Rooms on the other hand are a bit different. They’re generally constructed with glass or tile so moisture doesn’t soak into any materials like it would with wood. Temperatures inside a steam room range from 100 to 125 degrees Fahrenheit and do so by pumping steam from a water-filled generator into a small spout located near the floor. Because of the water vapor, the humidity level in a steam room is just about 100 percent. Benefits: Much like the sauna, a steam room opens pores and cleanses the skin but it also has its own handful of benefits. Because steam rooms produce moist heat, your skin rids toxins easier and leaves you with a soft, smooth, rejuvenated feeling. Steam rooms are also great for clearing any sinus irritations as well as head and chest congestion. Cautions: Time is key. Staying in too long can cause dizziness, vertigo, increased heart rate, and dehydration. You also need to stay away from the steam spout. Depending on how close you get to it, the burns can be extremely bad. For the most part, both are going to help open your sinuses; however the steam room is where you&apos;re really going to clear the lunges, throat, and chest of that extra flem. 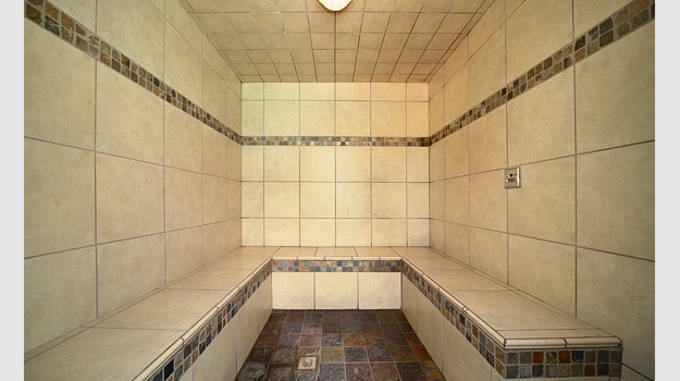 Sitting inside a steam room and taking nice deep breaths can work wonders during cold season. The warm water vapor acts like a humidifier and helps ease the dryness of the nasal passage, bronchial tubes, and lunges. Once things are moist, everything it easier to clear. So beat this winters cold and hop in a steam room. You should know that steam rooms are ideal breeding places for various infections and fungus, and that includes athlete’s foot. With the amount of people who walk in and out of a steam room in a public gym, the chances of at least one of them having athlete’s foot is pretty high. It’s highly recommended that you wear sandals at all times. This goes for saunas as well. Save yourself the burn and wear protection. Let’s be honest, we’ve all walked into a locker room and seen our fair share of people past their prime just letting it all hang out. Good for them, they’re old, they deserve it. 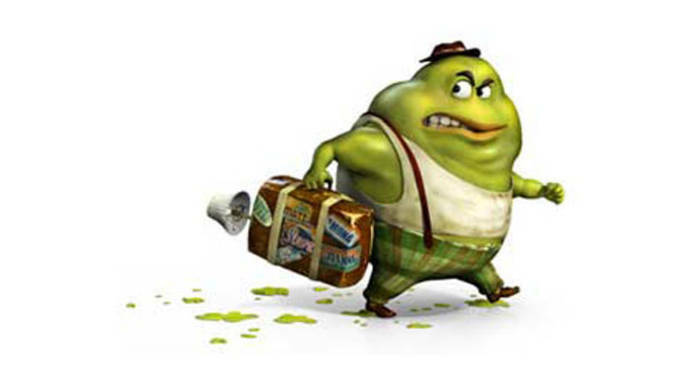 But, because of how easily infection can spread, when you’re in a public steam room or sauna try and practice proper sauna/steam room etiquette. As a courtesy to others and yourself, make sure you wear a towel and some sandals. 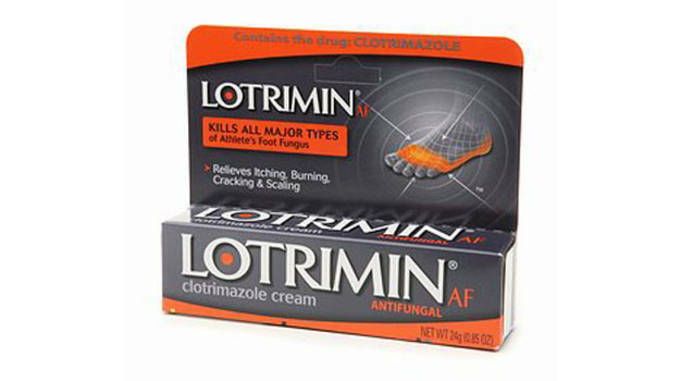 Nobody wants to catch any type of foot fungus or any other fungus that may exist in some public saunas and steam rooms. People out there actually sit in a 230 degree sauna for as long as possible. This was an actual sport. Competitors would sit down inside a sauna where a referee would pour 1 liter of water on the coals every 30 seconds to keep the temperature rising. In order to come out victorious, the participant has to walk out of his own unaided. The competition was banned in 2010 when Russian competitor Vladimir Ladyzhenskiy (above, #40) died from severe burns. In the end it was a difficult decision to make. Both heat rooms provide us with the relaxation we need after a rough lift or practice, a quick skin cleansing, and relief from aches and congestion, but it&apos;s the sauna that really gives the athlete the most for his time, effort and sweat. The sauna helps with muscle stimulation which is great for both pre, and post workout. It also helps lower blood pressure and reduce stress hormones, two things which a lot of athletes deal with. The pressure and stress a sport can have on someones mind and body is something that isn&apos;t fun to deal with. 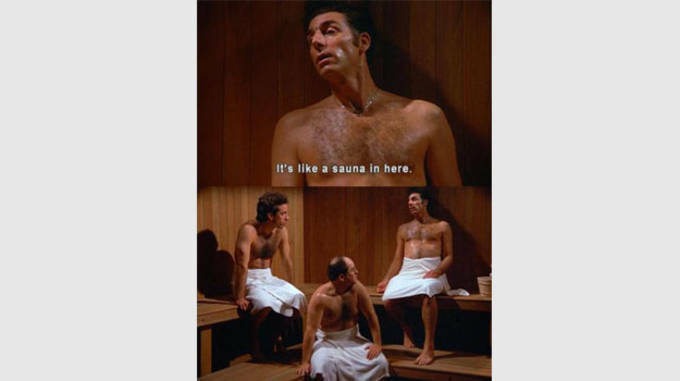 And lastly, saunas have been found to improve cardiovascular health, the most important part of any athletes career.